At LINE-X of Northern Kentucky, we get that your truck is your prized possession. After all, we are truck people ourselves. Protecting all its parts from damage is vital in getting the most out of your investment. With over a decade of experience in the automotive care industry, we have tried out countless bed liners and have come to the conclusion that LINE-X is the very best. As the area’s premiere LINE-X installers, we are qualified to ensure that your LINE-X bed liner is installed in the most beneficial way possible. We want to give you the best, and through LINE-X, we do. At LINE-X, we know your truck is much more than a vehicle to you. It can be your workhorse or your plaything. Either way, it deserves serious protection every way you use it. That’s why the name LINE-X has become synonymous with toughness. For 20 years our LINE-X STANDARD Spray-On Bedliner has been trusted to protect millions of trucks worldwide. When you’re looking for durability, function, and peace of mind, LINE-X’s proven formula is what you need. For over 20 years, the name LINE-X has become synonymous with toughness. This tradition includes LINE-X PRO — an advanced-formula, professional-grade bedliner with exceptional physical specs that make it a whopping 300% tougher than the industry standard. 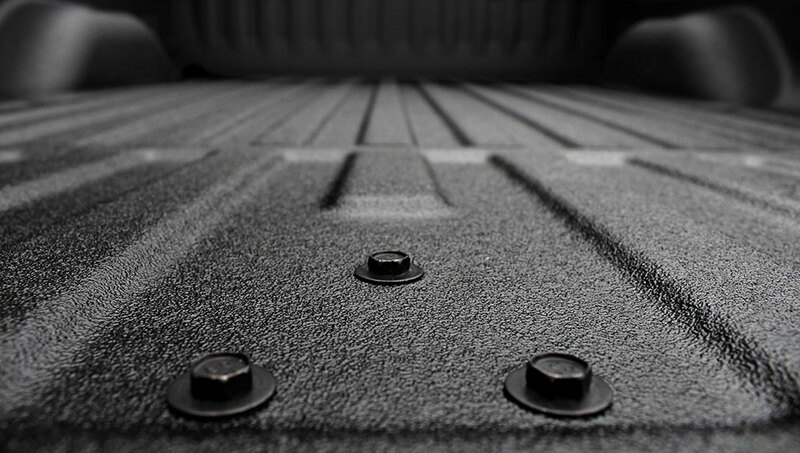 LINE-X has improved spray-on bedliner protection at the molecular level. LINE-X PLATINUM uses a pure polyurea technology that combines strength and flexibility to create the toughest bedliner on the market. 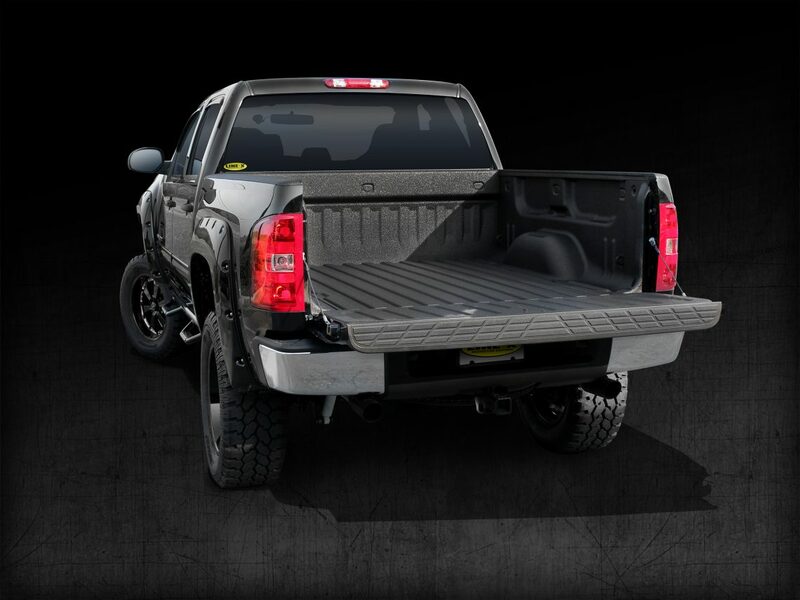 LINE-X PLATINUM is the total bedliner package — toughness, durability, and UV stability. 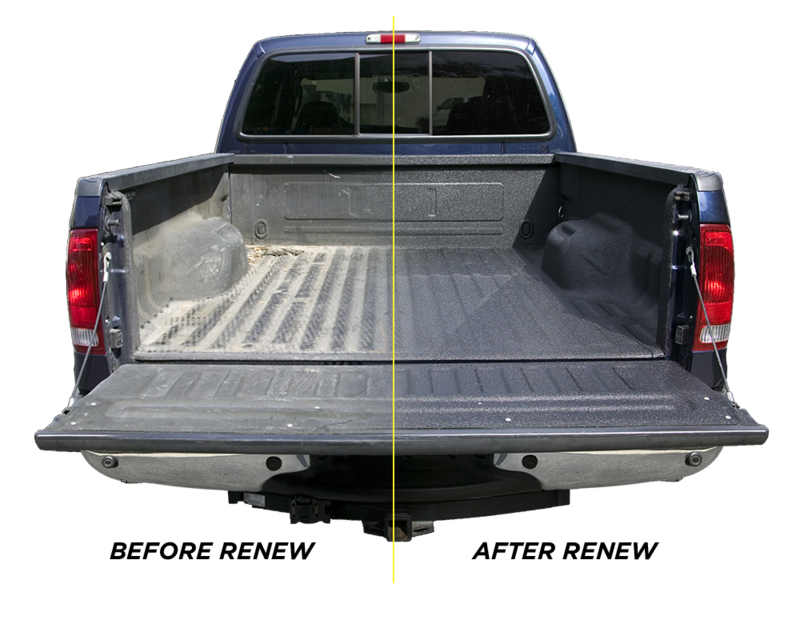 LINE-X ReNew is a bedliner enhancement system that can repair old, faded, or gouged spray-on truck bedliners. Over time UV light can damage a bedliner, causing it to steadily fade. LINE-X ReNew returns your bedliner to its original luster while helping to minimize future UV damage. This proprietary surface treatment adheres to any existing polyurethane and polyurea coating, completely resurfacing the damaged area. A worn-out bedliner can be restored to original condition, plus UV resistance for further protection.